ArtMind: A special day today? 1. the anniversary of a birth. 2. the day of a person's birth. 3. a day marking or commemorating the origin, founding, or beginning of something. 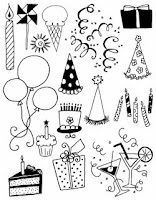 4. the festivities or celebration marking such a day or anniversary. Everyone is having one every year so what's the big deal? If you purchase something from my shop today AND leave a comment in my blog, you will receive a little present! Also wanted to share this poem on my birthday... since I love it!